Raj Chandra Hospital & Research Centre is a reputed & one of the leading ( Established in 2004) Multi- Speciality 35- bedded hospital . Hospital facilities are of high Quality and utmost care is taken for the safety of the patients . The owner of this Nursing Home are Mrs. Rani Agarwal & Dr. Pankaj Agrawal (M.S.) who have a vast experience in primary, secondary and super- speciality funtioning of hospital. 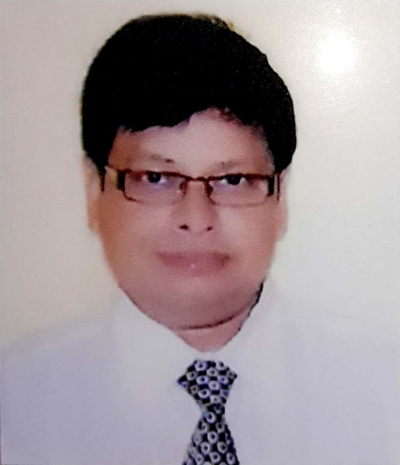 Dr. Pankaj Agrawal (M.S.) is a senior consultant Laproscopic Surgeon. They are serving the society for last 15years . Mrs. Rani Agarwal has done MHA (Masters in Hospital Administration) & looking after the administration of Hospital . This facility is unique in its kind with funtional 35 beds with highly sophisticated Modular Operation Theatre, Labour Room ,I.C.C.U. and Nursery . We have 24 hours Emergency ,Clinical Pathology Lab, E.C.G., X-Ray and Ultrasound facility .Hospital is a Multi-Speciality Hospital with facilities like : Laproscopic & General Surgery , Laproscopic Gynae., Anthroscopy, Orthopaedics, Joint Replacement Surgery, ENT, Psychiatry, Gynae & Obst., G.I.Endoscopy, Medicine & Cardiology, Paediatrics, Physiotherapy, Eye, Cosmetology, Oncology, Plastic Surgery , Gastroenterology Vascular Surgery, Skin , Nephrology, Urology , Neurology, Neurosurgery & Others . Hospital is empanelled with Airport Authority of India , Hindustan Petroleum IRCON, UPPCL, CWC, TELCO, IFFCO TOKIO General Insurance , ICICI Lombard , Vipul Med CORP, Alankit, E-Meditek Solutions Ltd ., TTK Healthcare Ltd., Medsave, DHS , Raksha ,Health India , MD India , Family Health Plan , I Care , Focus , Emsl, Star Health & Allied Insurance Co.Ltd., HCX , Apollo Munich Health , Ram Manohar, HDFC ERGO General Insurance, Roothshield TPA, Good Health Plan Ltd., Bridge Healthcare , Medicare TPA , Reliance General Insurance , BSNL & Many other PSUs / MNCs / TPAs.